carfax report = 0 get_carfax(4JGBB7CB2AA581453, N, 2019-04-22 03:52:05|0, autos, autoID, 1264) -- 980 Security Violation. 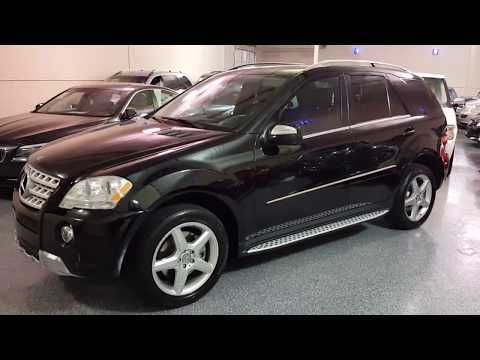 2010 Mercedes ML550 4Matic, Black with black interior, All Wheel Drive, 83K miles, 382HP V8 power, 7-speed automatic transmission, 19-inch AMG wheels, new tires, AMG front and rear bumpers. Stainless steel running boards, brushed aluminum roof rails, power moon roof, rain-sensing wipers, factory navigation, bluetooth, in-dash DVD-CD changer, premium sound. Heated 8-way power seats, heated rear seats. Exterior appearance package with stainless skid plates, stability control, Burl walnut trim, wood-leather steering wheel, power folding mirrors, power lift gate, rear view camera, Sirius satellite radio, 4 GB hard drive music register, 115v AC outlet. Super clean inside and out. Drives like new. Fully detailed. $62K original list price. EXTRA CLEAN! Select Motors, LTD. has been visited 13,719,011 times.